AC/DC, purveyor of fine rock 'n' roll since 1973 and modestly priced wine since 2011, is now launching its own brand of beer. 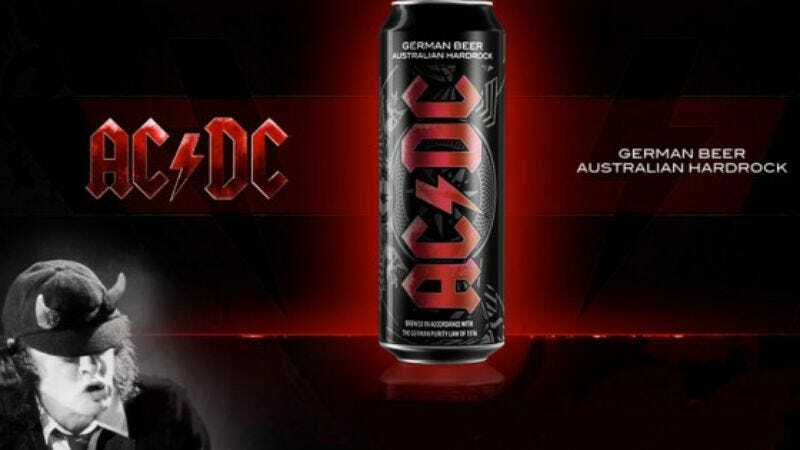 So far, AC/DC Premium Lager is only available in Germany, but its maker has already been advertising the brew's straightforward consistency on a worldwide scale, bragging that every can of AC/DC lager that thirsty guzzlers crack open will be exactly the same. Angus Young agrees, saying, “We hope to give beer drinkers the same assurances we give our loyal listeners. They know what they’re gonna get every time. There are never any surprises!” Because, after all, a total lack of surprise is exactly what everyone looks for in beer and music.